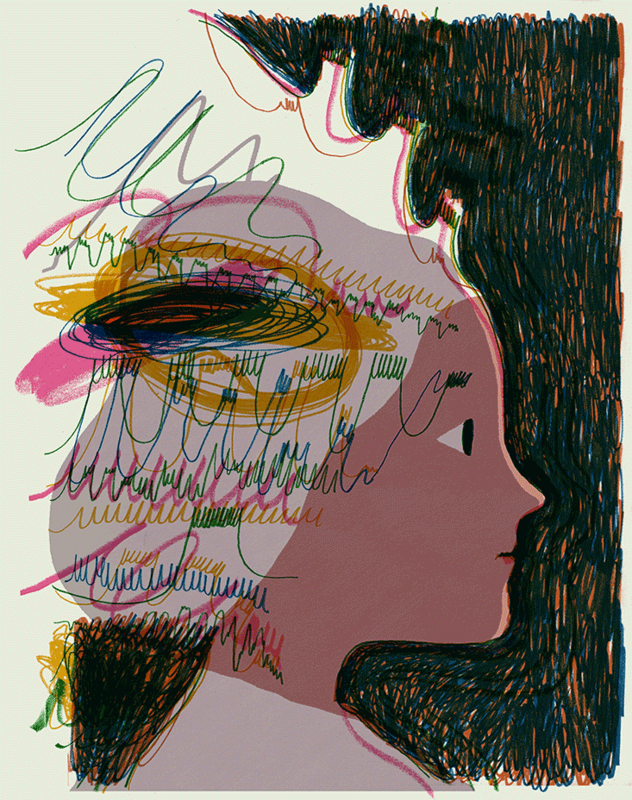 From Nautilus, Kelly Clancy takes a look at the increasing evidence for chaos in the brain and nervous system. The nervous system is literally overwhelmed by incoming sensory data, so much so that much of it never makes it into consciousness. On the other hand, the brain stem and its adjacent structures, a collection of filters in one sense (which Antonio Damasio calls the protoself), function as gatekeepers to decide what gets passed up into the limbic system and cerebral cortex (i.e., what becomes conscious). While disordered systems cannot be predicted, chaos is actually deterministic: The present state of the system determines its future. Yet even so, its behavior is only predictable on short time scales: Tiny differences in inputs result in vastly different outcomes. Chaotic systems can also exhibit stable patterns called “attractors” that emerge to the patient observer. Over time, chaotic trajectories will gravitate toward them. Because chaos can be controlled, it strikes a fine balance between reliability and exploration. Yet because it’s unpredictable, it’s a strong candidate for the dynamical substrate of free will. Even with these qualifications, chaos in the nervous system makes a lot of neuroscientists, specifically the computationalists, very nervous because it would completely derail their model. At the same time, chaos has its advantages. On a behavioral level, the arms race between predator and prey has wired erratic strategies into our nervous system. A moth sensing an echo-locating bat, for example, immediately directs itself away from the ultrasound source. The neurons controlling its flight fire in an increasingly erratic manner as the bat draws closer, until the moth, darting in fits, appears to be nothing but a tumble of wings and legs. More generally, chaos could grant our brains a great deal of computational power, by exploring many possibilities at great speed. As a result, researchers must tread carefully to be taken seriously. But the search for chaos is not purely poetic. The strongest current evidence comes from single cells. The squid giant axon, for example, operates in a resting mode or a repetitive firing mode, depending on the external sodium concentration. Between these extremes, it exhibits unpredictable bursting that resembles the wandering behavior of a chaotic trajectory before it settles into an attractor. When a periodic input is applied, the squid giant axon responds with a mixture of both oscillating and chaotic activity. There is chaos in networks of cells, too. The neurons in a patch of rat skin can distinguish between chaotic and disordered patterns of skin stretching. More evidence for chaos in the nervous system can be found at the level of global brain activity. Bizarrely, an apt metaphor for this behavior is an iron slab. The electrons it contains can each point in different directions (more precisely, their spins can point). Like tiny magnets, neighboring spins influence each other. When the slab is cold, there is not enough energy to overcome the influence of neighboring spins, and all spins align in the same direction, forming one solid magnet. When the slab is hot, each spin has so much energy that it can shrug off the influence of its neighbor, and the slab’s spins are disordered. When the slab is halfway between hot and cold, it is in the so-called “critical regime.” This is characterized by fluctuating domains of same-spin regions which exhibit the highest possible dynamic correlations—that is, the best balance between a spin’s ability to influence its neighbors, and its ability to be changed. But how can we tell whether the brain operates at the critical point? One clue is the structure of the signals generated by the activity of its billions of neurons. We can measure the power of the brain’s electrical activity at different oscillation frequencies. It turns out that the power of activity falls off as the inverse of the frequency of that activity. Once referred to as 1/f “noise,” this relationship is actually a hallmark of systems balanced at their critical point. The spatial extent of regions of coordinated neuronal activity also depend inversely on frequency, another hallmark of criticality. When the brain is pushed away from its usual operating regime using pharmacological agents, it usually loses both these hallmarks,[8, 9] and the efficiency of its information encoding and transmission is reduced. THE PHILOSOPHER Gilles Deleuze and psychiatrist Felix Guattari contended that the brain’s main function is to protect us, like an umbrella, from chaos. It seems to have done so by exploiting chaos itself. At the same time, neural networks are also capable of near-perfect reliability, as with the beating heart. Order and disorder enjoy a symbiotic relationship, and a neuron’s firing may wander chaotically until a memory or perception propels it into an attractor. Sensory input would then serve to “stabilize” chaos. Indeed, the presentation of a stimulus reduces variability in neuronal firing across a surprising number of different species and systems, as if a high-dimensional chaotic trajectory fell into an attractor. By “taming” chaos, attractors may represent a strategy for maintaining reliability in a sensitive system. Recent theoretical and experimental studies of large networks of independent oscillators have also shown that order and chaos can co-exist in surprising harmony, in so-called chimera states. While hundreds of millions of dollars are being funneled into building the connectome—a neuron-by-neuron map of the brain—scientists like Eve Marder have argued that, due to the complexity of these circuits, a structural map alone will not get us very far. Functional connections can flicker in and out of existence in milliseconds. Individual neurons appear to change their tuning properties over time [14, 15] and thus may not be “byte-addressable”—that is, stably represent some piece of information—but instead operate within a dynamic dictionary that constantly shifts to make room for new meaning. Chaos encourages us to think of certain disorders as dynamical diseases, epileptic seizures being the most dramatic example of the potential failure of chaos. Chaos might also serve as a signature of brain health: For example, researchers reported less chaotic dynamics in the dopamine-producing cells of rodents with brain lesions, as opposed to healthy rodents, which could have implications in diagnosing and treating Parkinson’s and other dopamine-related disorders.